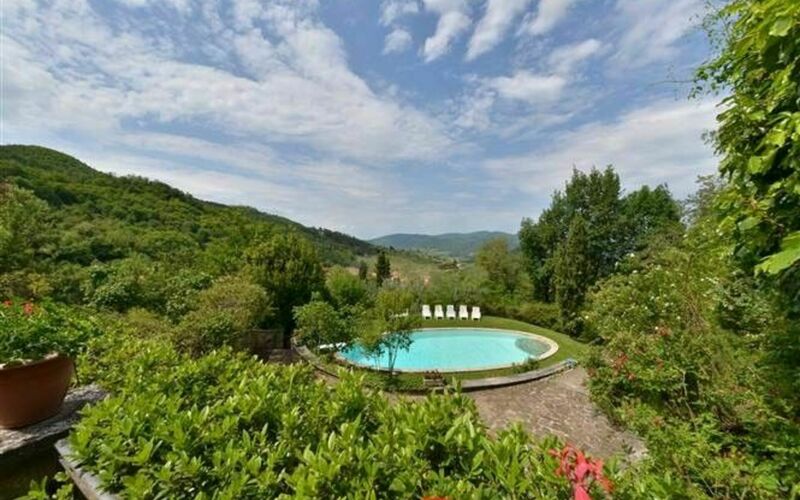 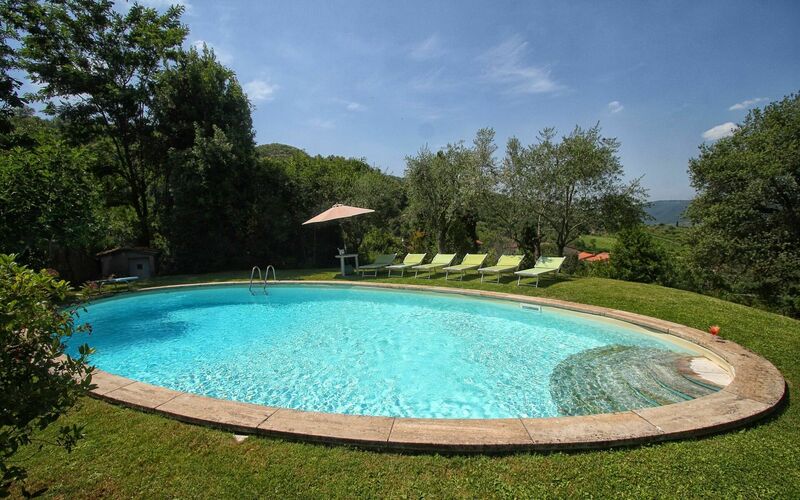 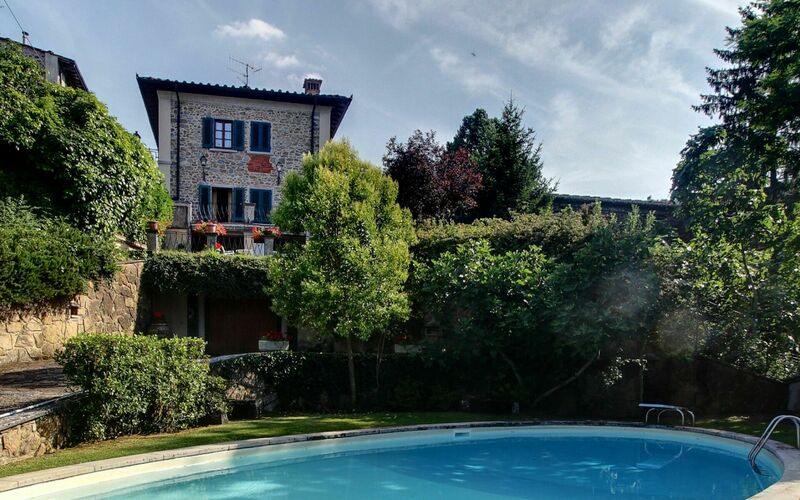 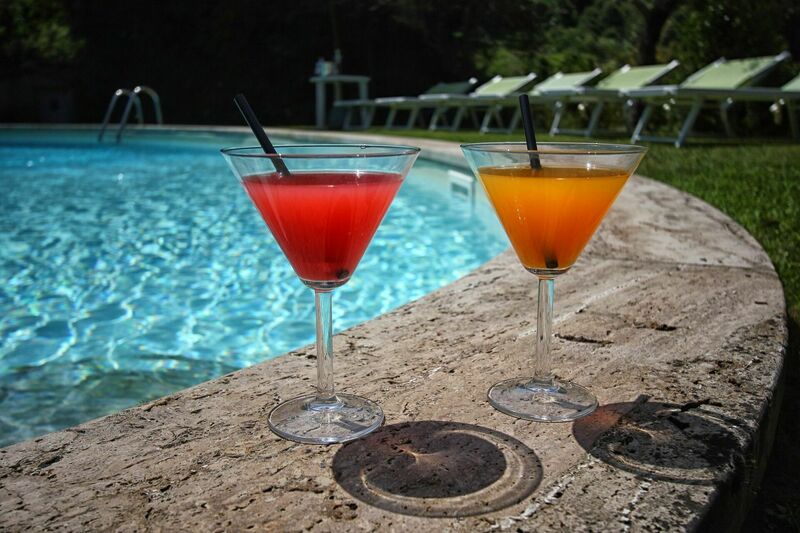 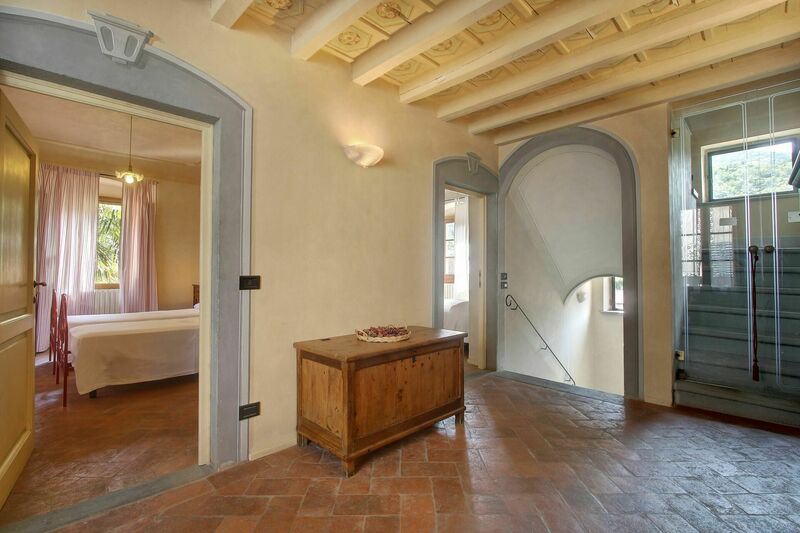 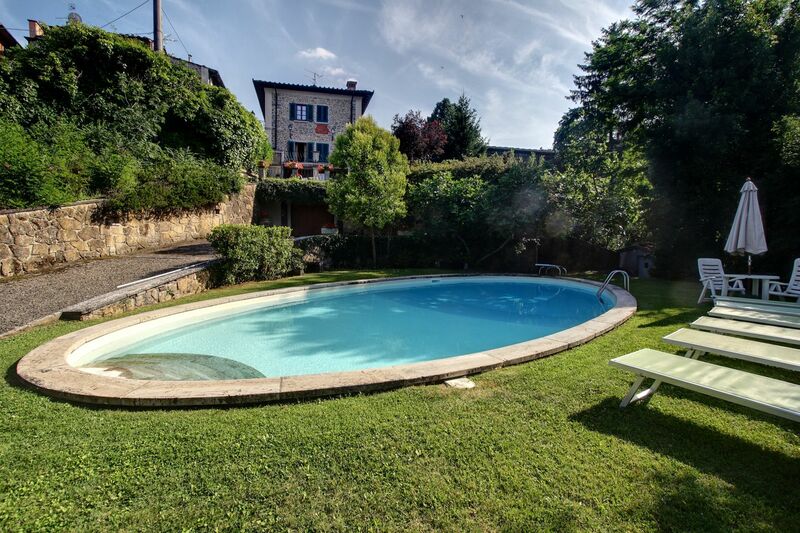 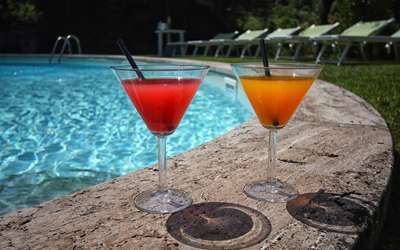 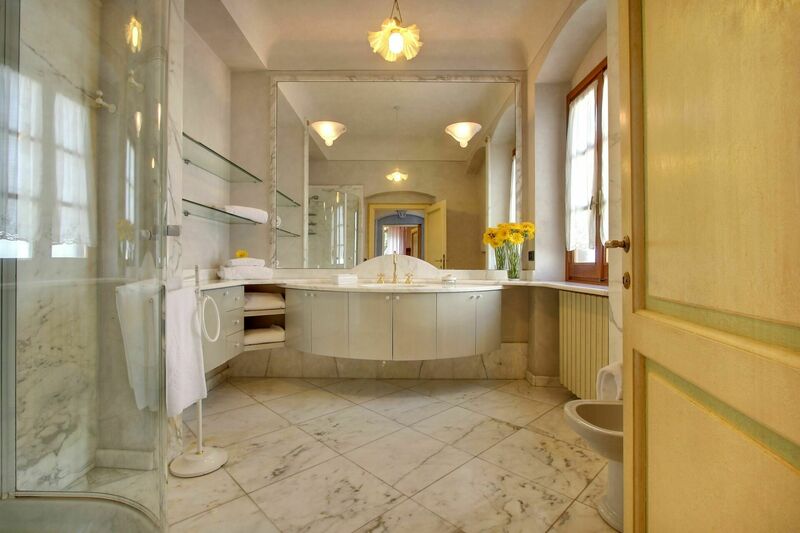 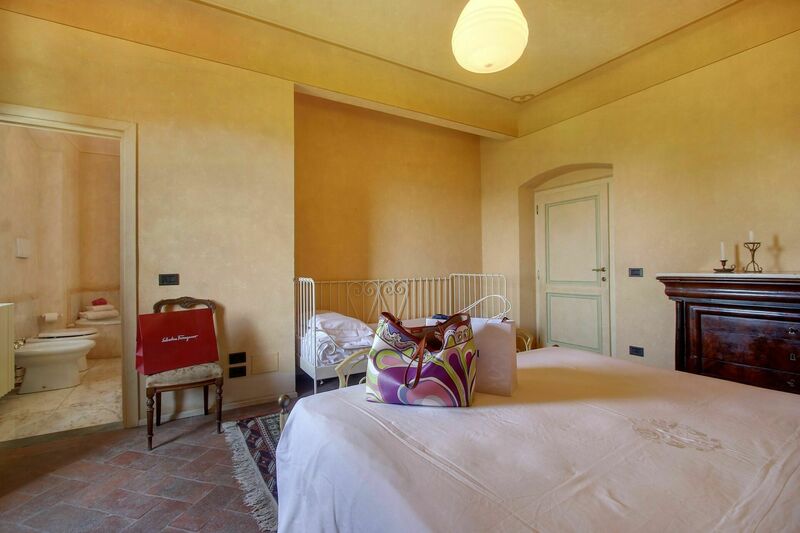 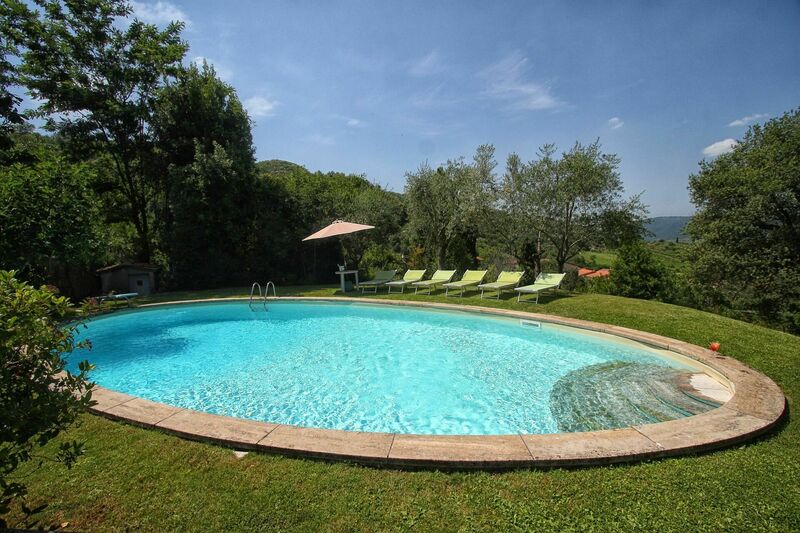 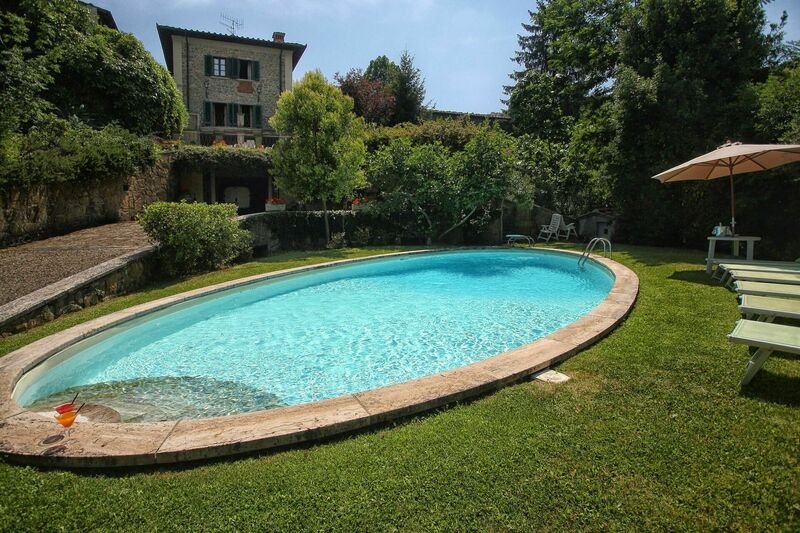 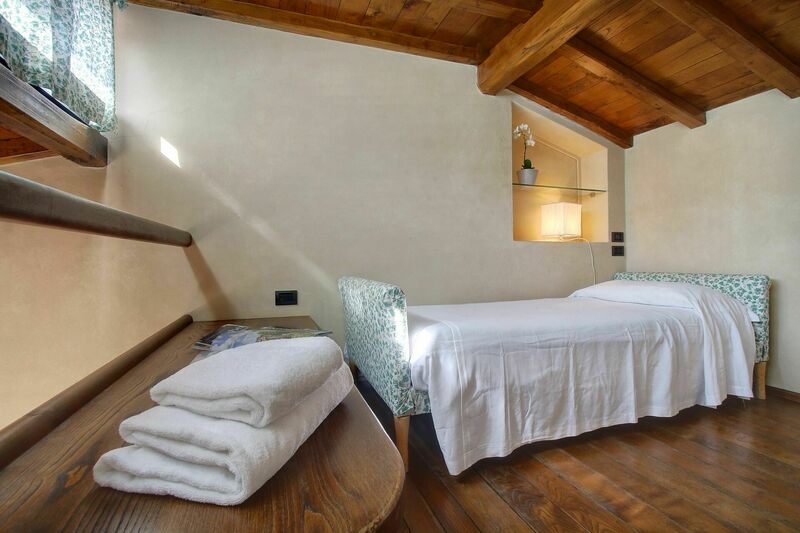 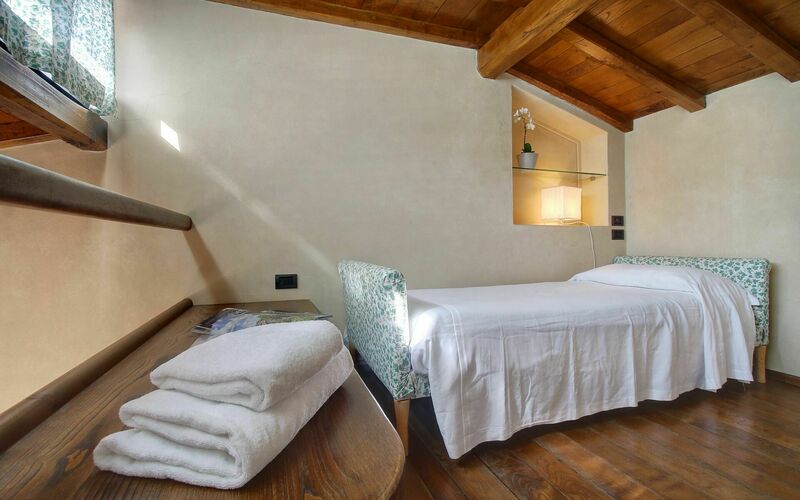 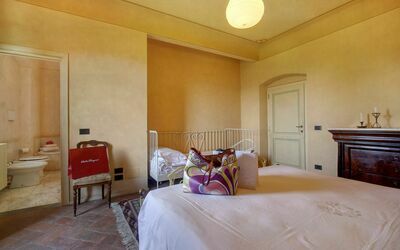 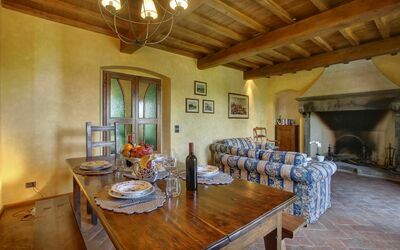 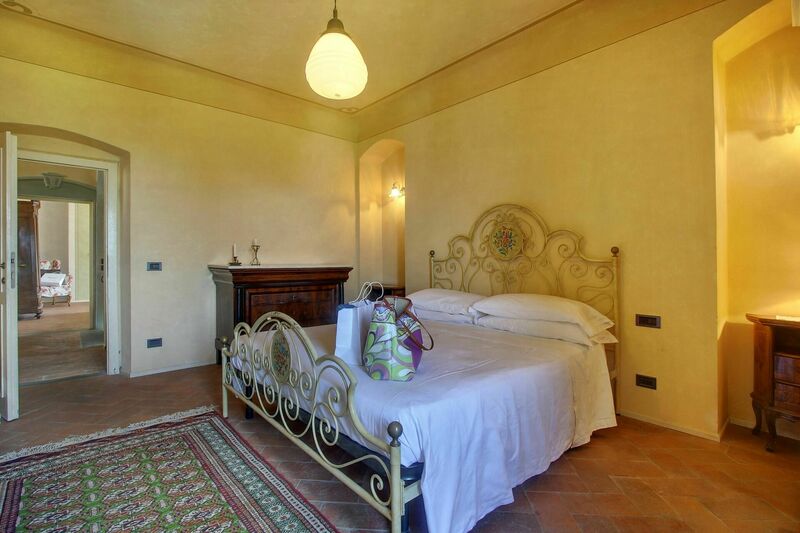 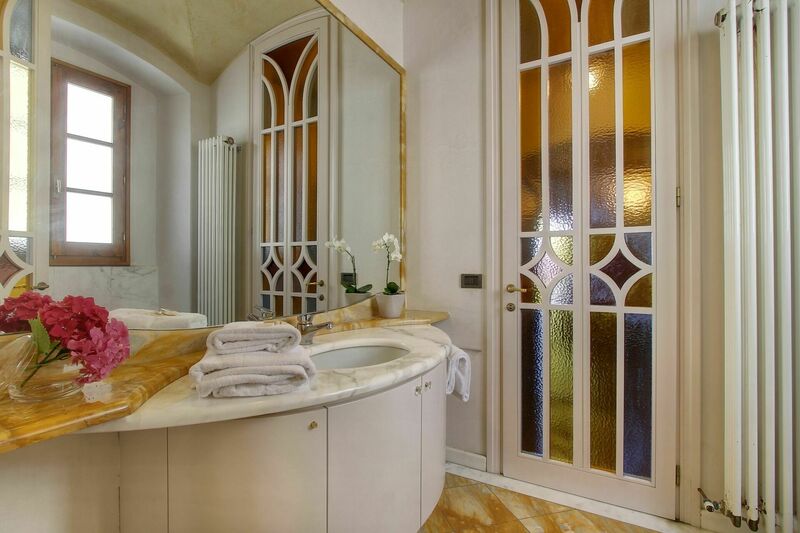 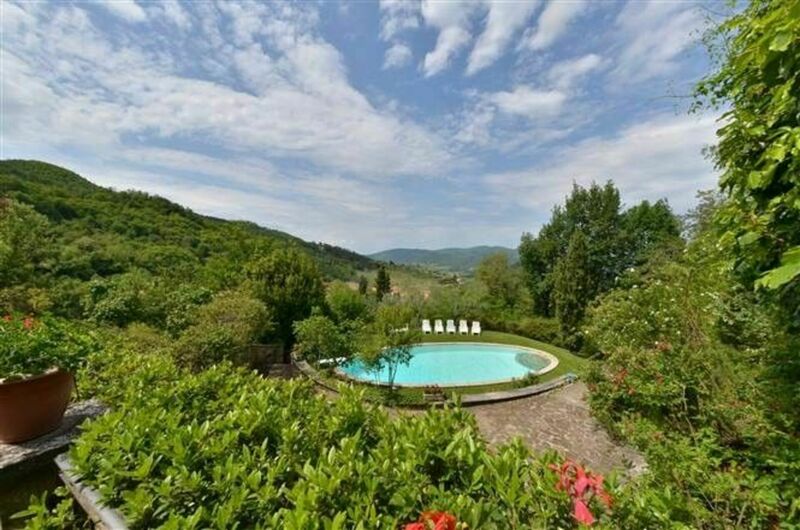 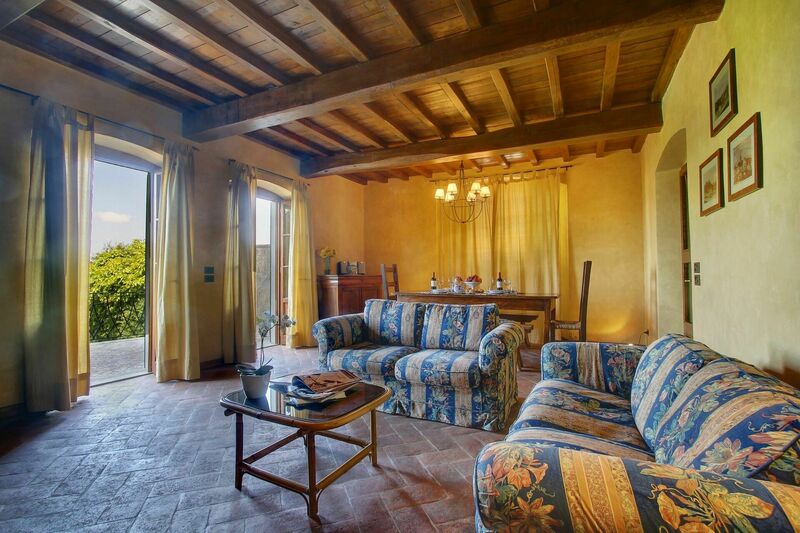 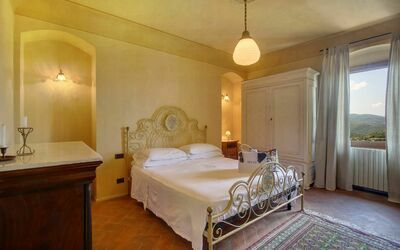 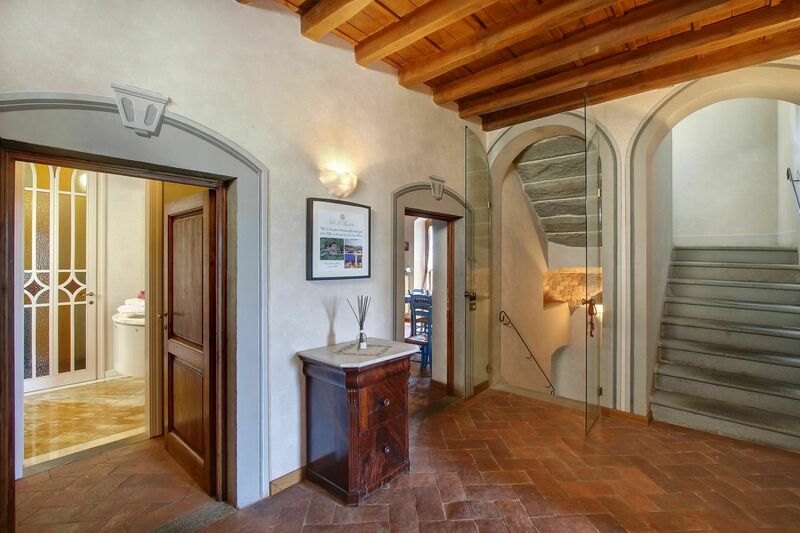 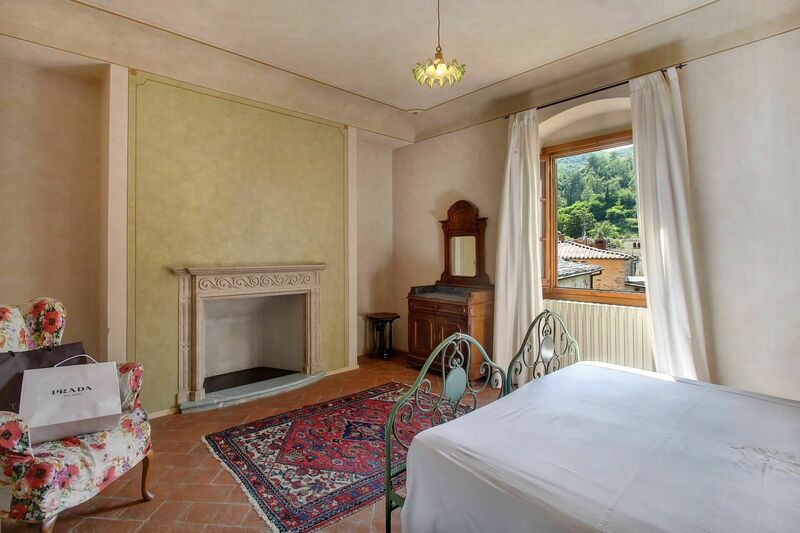 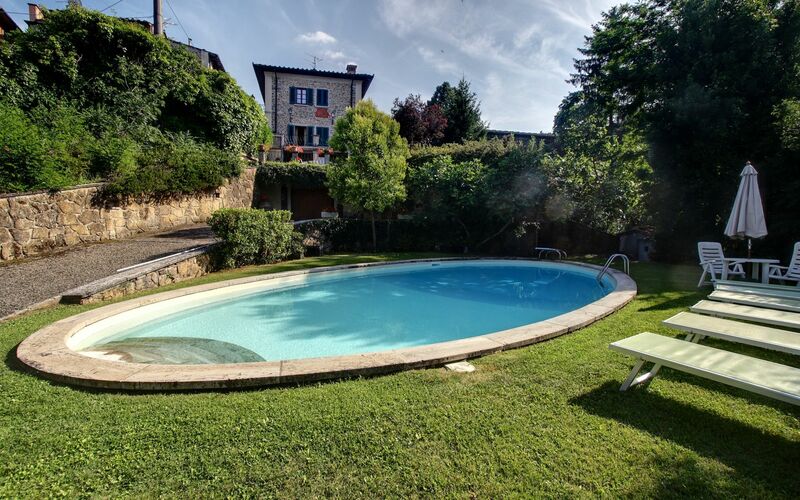 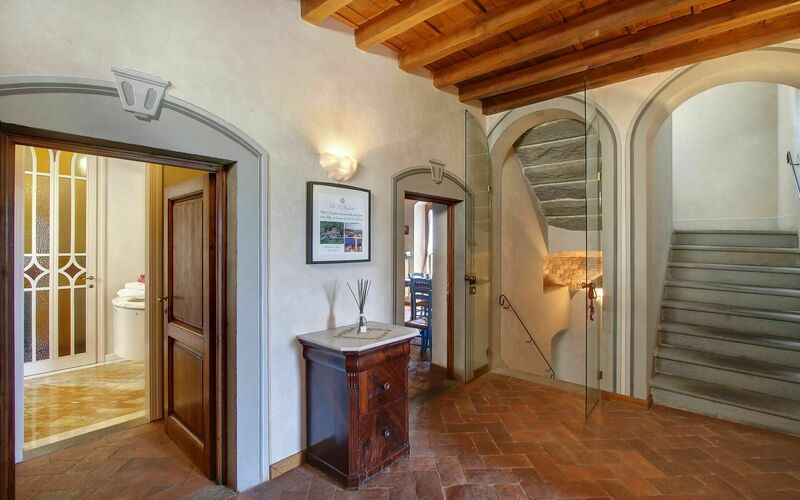 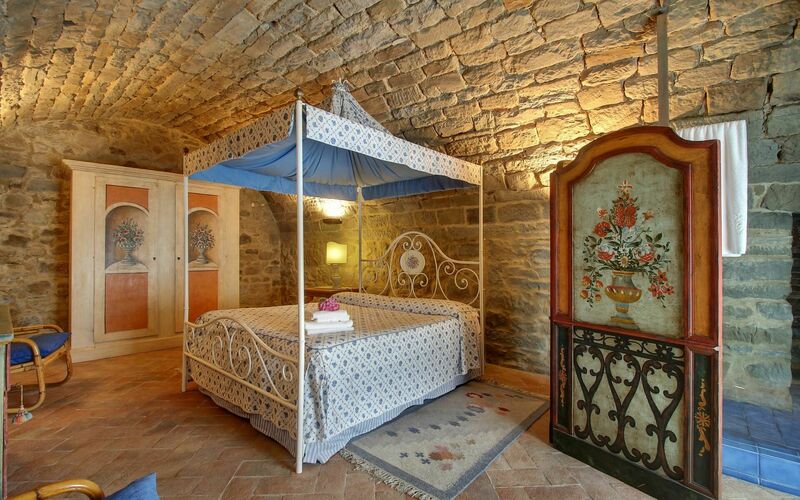 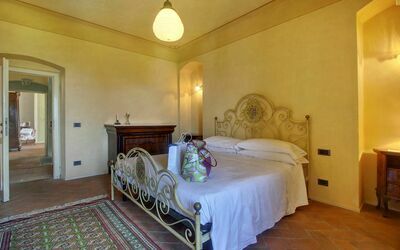 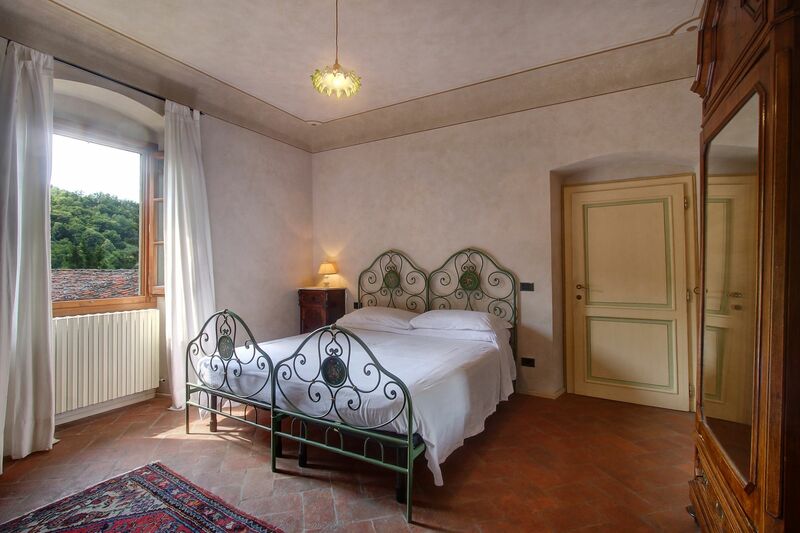 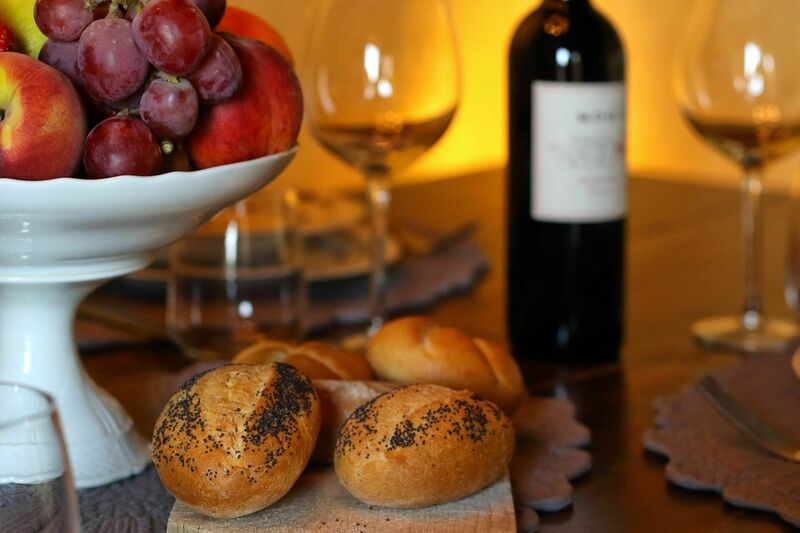 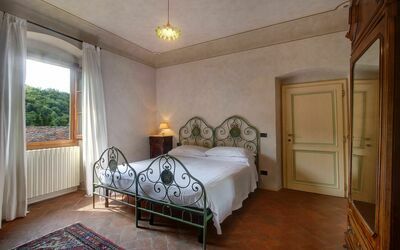 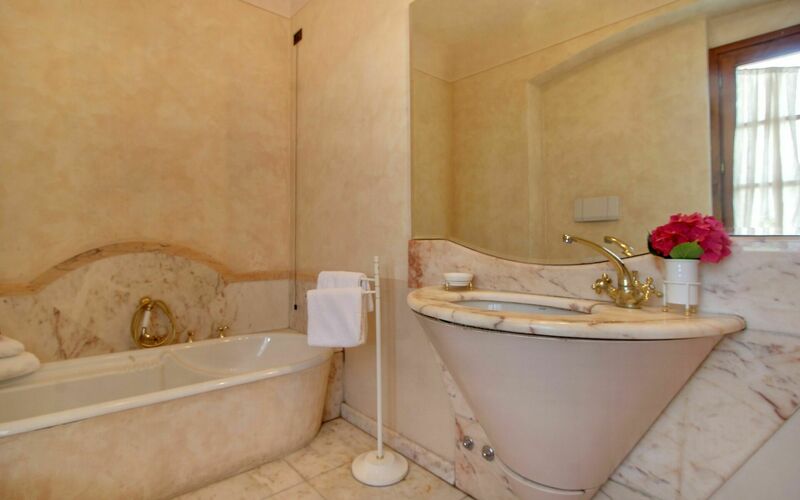 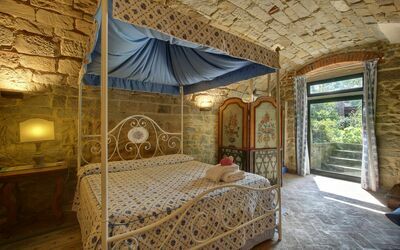 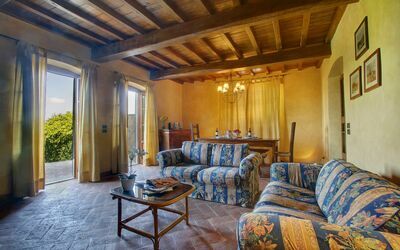 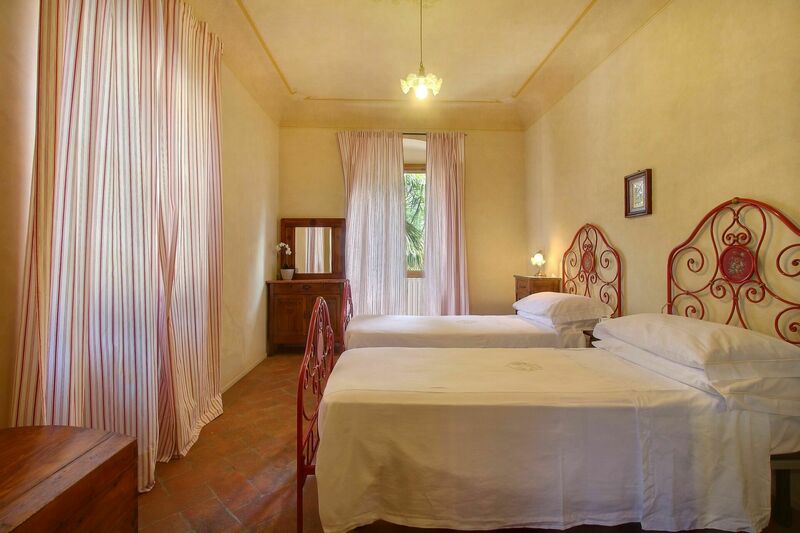 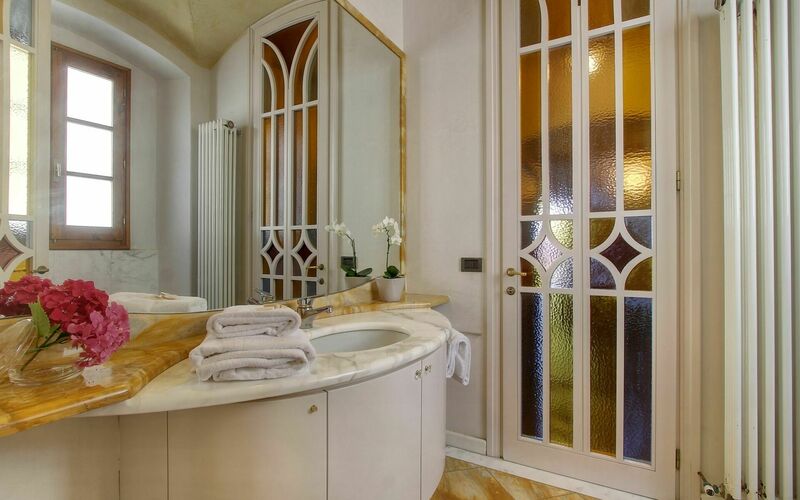 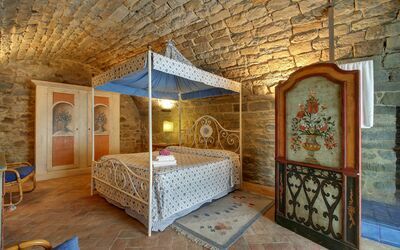 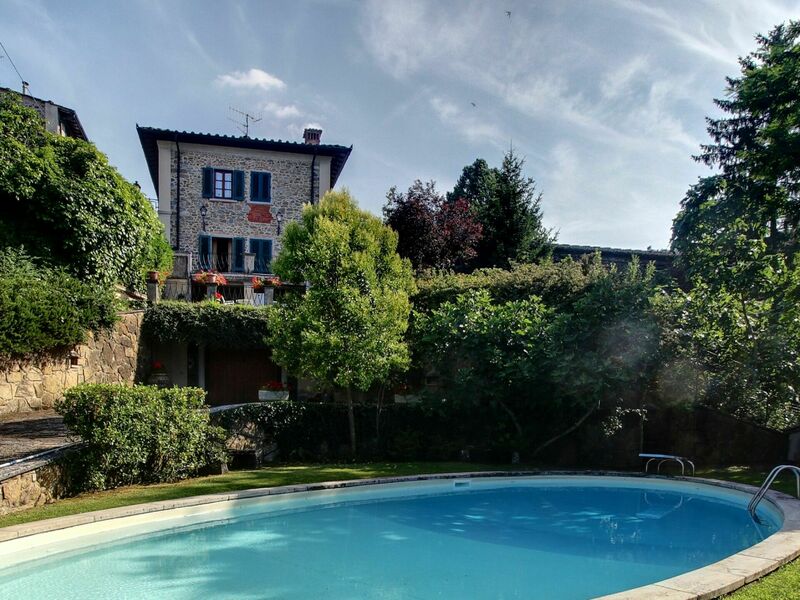 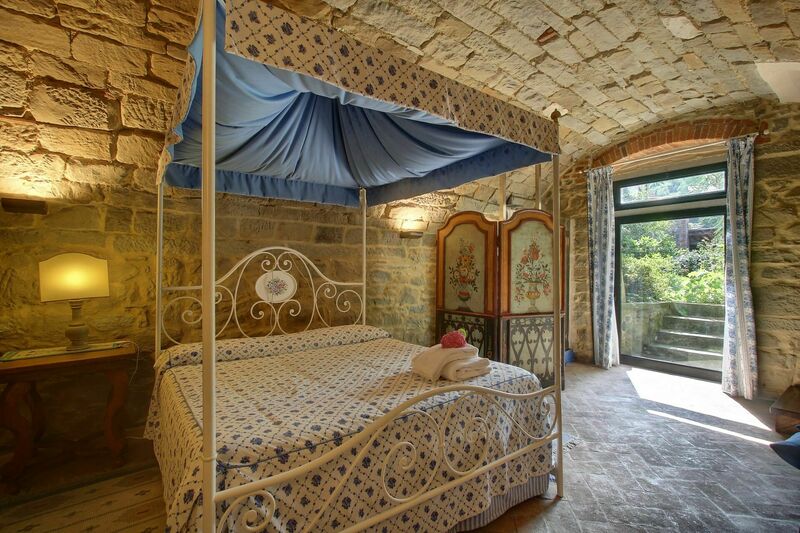 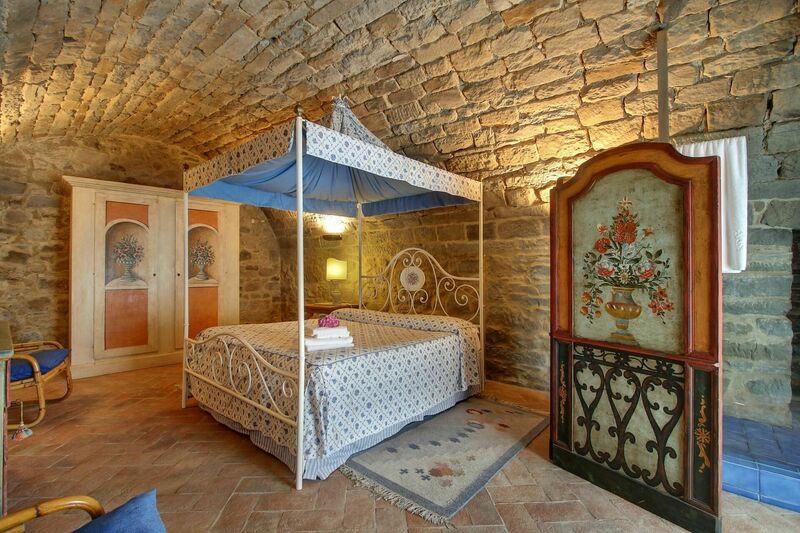 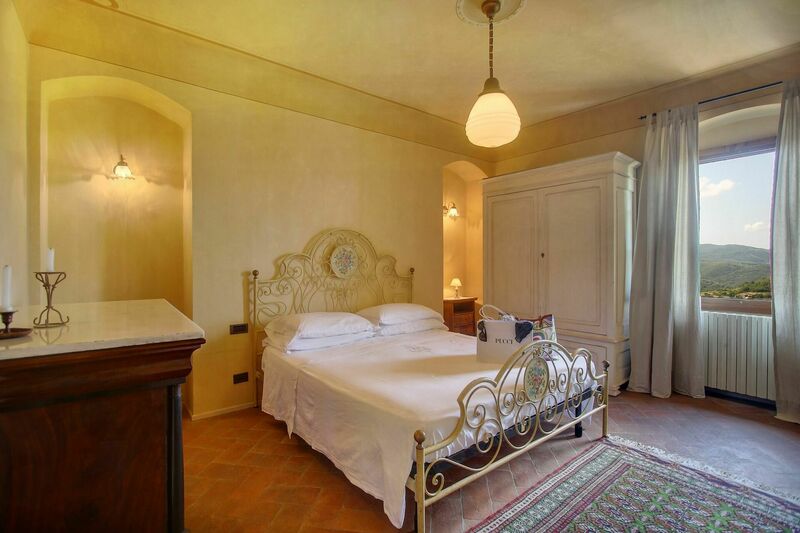 Welcoming villa with private swimming pool in the heart of Chianti. 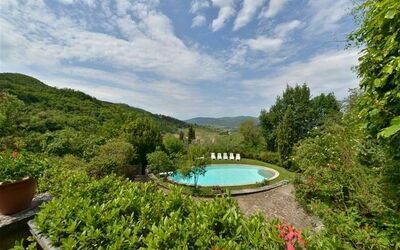 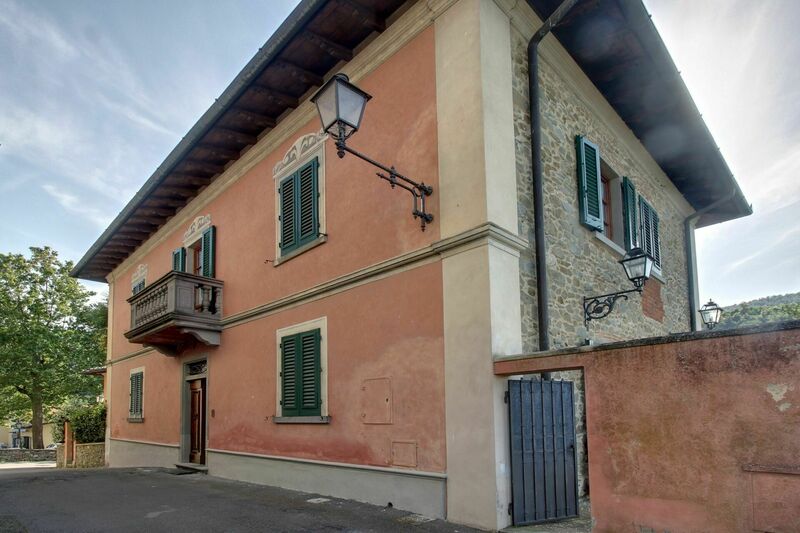 The property is surrounded by farming estates and rolling hills, turning this area in one of the most sought after of Tuscany. 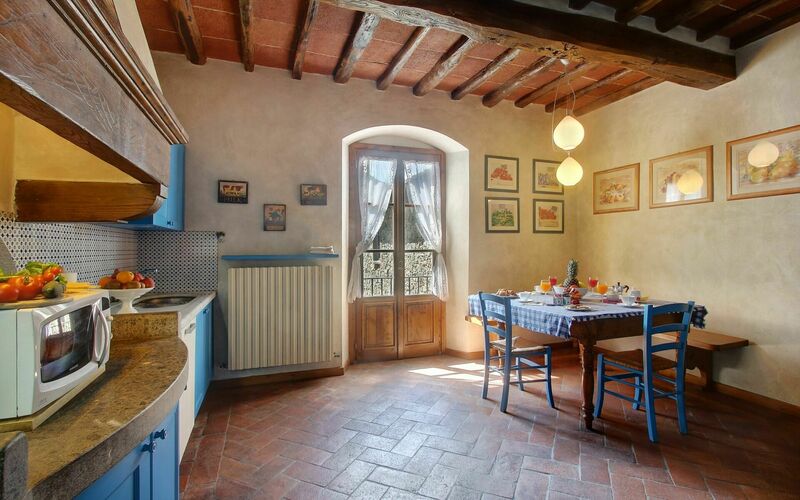 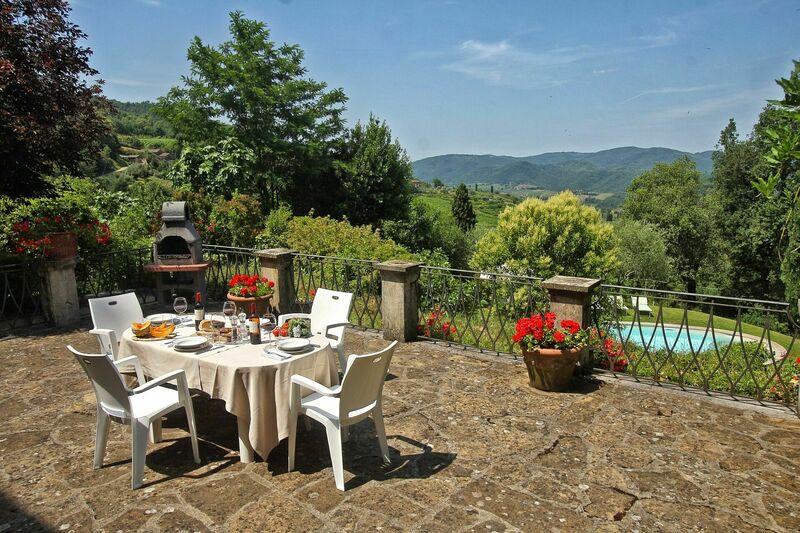 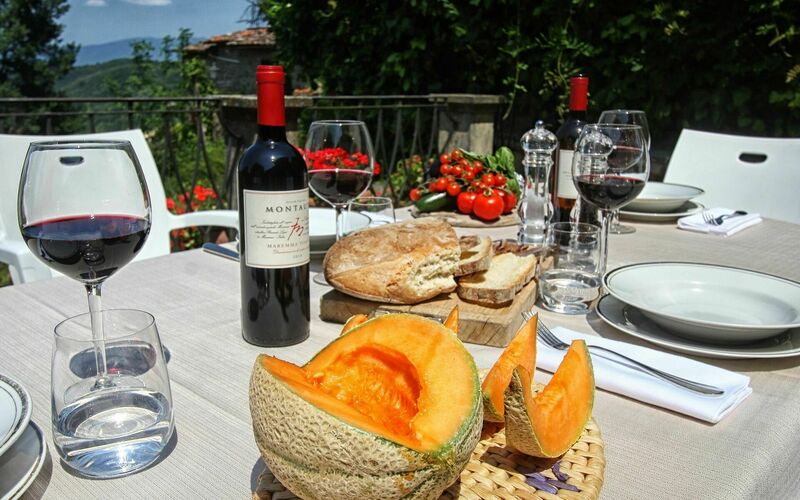 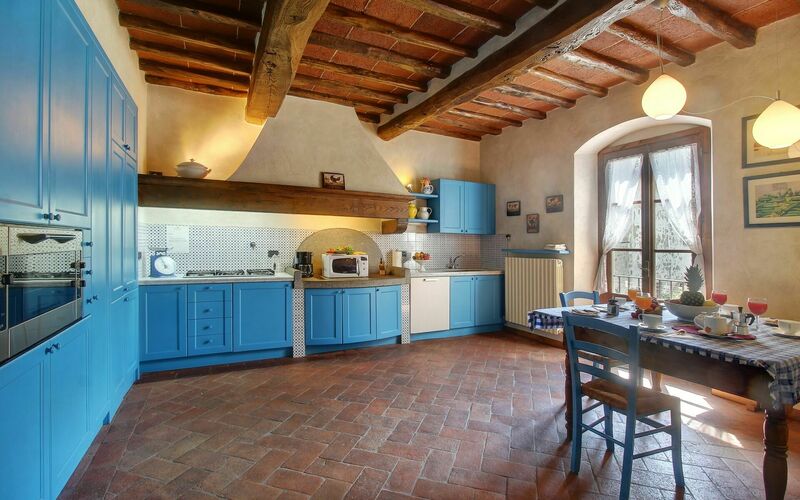 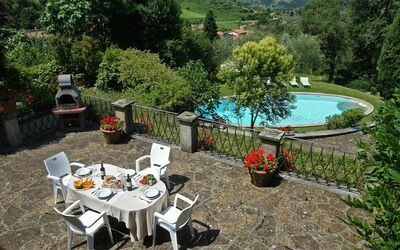 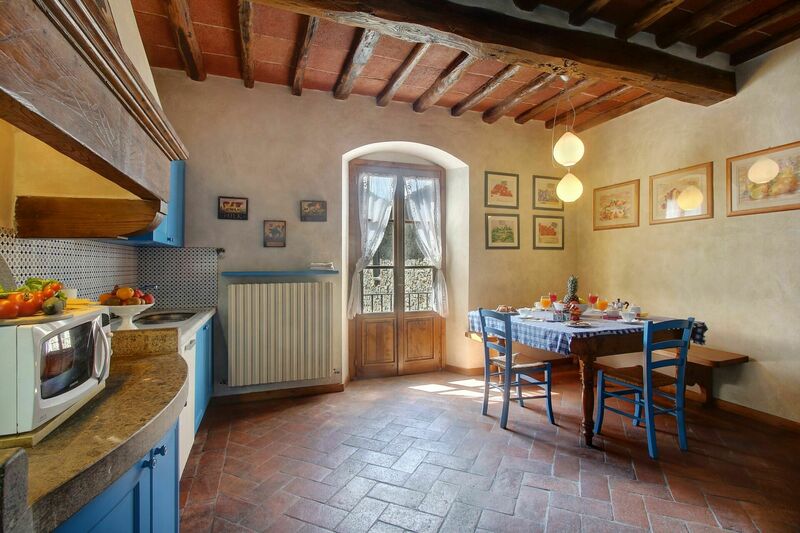 From the terrace of this villa rental in Chianti, guests can enjoy panoramic views over the surrounding countryside. 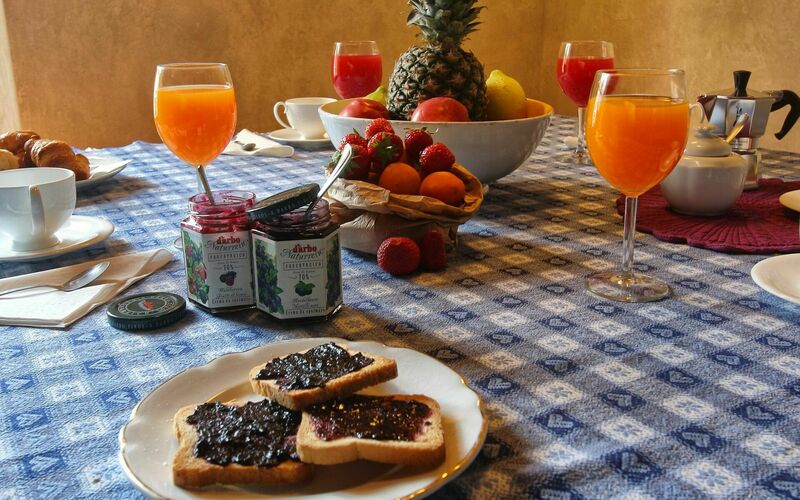 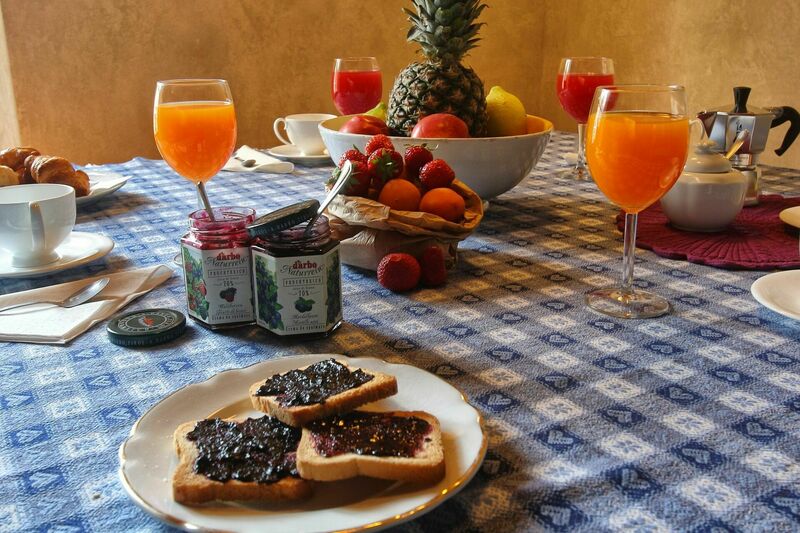 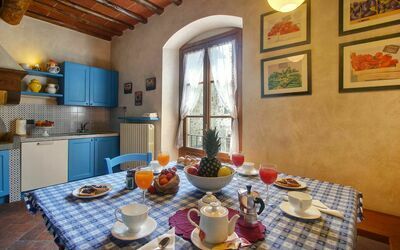 The town of Figline Valdarno is just 14km away and is provided with a train station with regular connections to Florence and Arezzo. Inside, this villa rental is welcoming and perfect for families or small groups of friends. Distances: Lucolena (with food shop) just a few steps away, Greve in Chianti (shops of any kind) 13 km away, Figline Valdarno 14 km away, Florence 35 km away, Siena 45 km away, San Gimignano 60 km away, Arezzo 65 km away, Montalcino (famous for its Brunello wine) 90 km away, Cortona 100 km away, Rome 275 km away. Ground floor: hall, living room with fireplace and dining area, kitchen (oven, freezer, dishwasher, washing machine), WC. 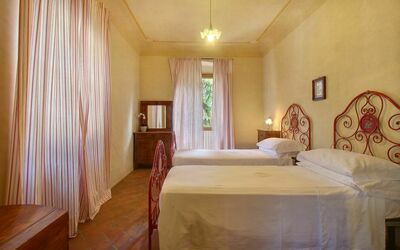 First floor: bedroom with double bed and single bed and en-suite bathroom with shower, 2 double bedrooms, bathroom with bathtub. 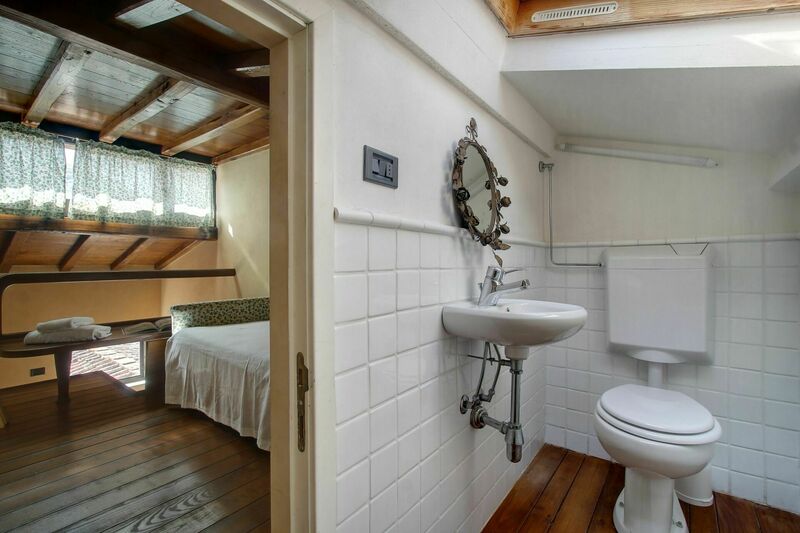 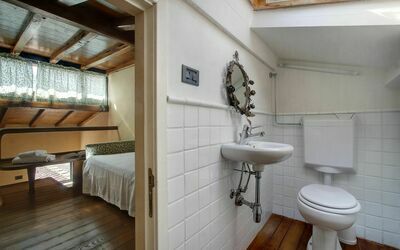 Second floor: small bedroom with single bed and WC.